Chinese smartphone manufacturer leaked about CES on Consumer Electronics Show in Las Vegas. 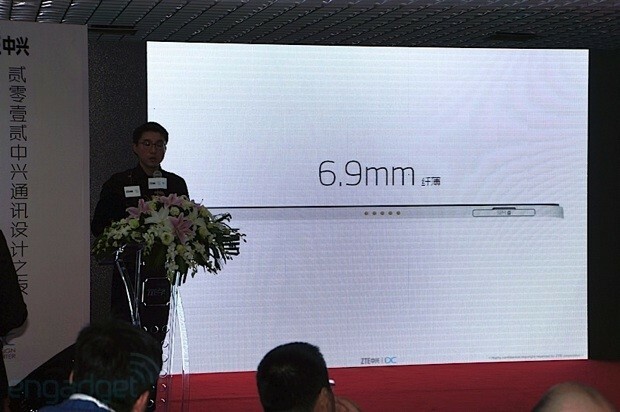 They announced that it have display of 5 inch and 6.9 mm thick. It is highly possible to have 13-megapixel camera. It is packed with 1.5GHz quad-core Qualcomm Snapdragon S4 Pro and 2GB of RAM. Its screen is 1920×1080 pixels touch screen, battery of 2,500 mAh with android 4.1 Jelly Bean . Another interesting rumor about ZTE Grand S is that it will be constructed using a ceramic material. Which will make its look fine and gives more better experiences than plastics. Its price will be around $450 in china. ZTE will official announced CES on January 8 in Las Vegas.